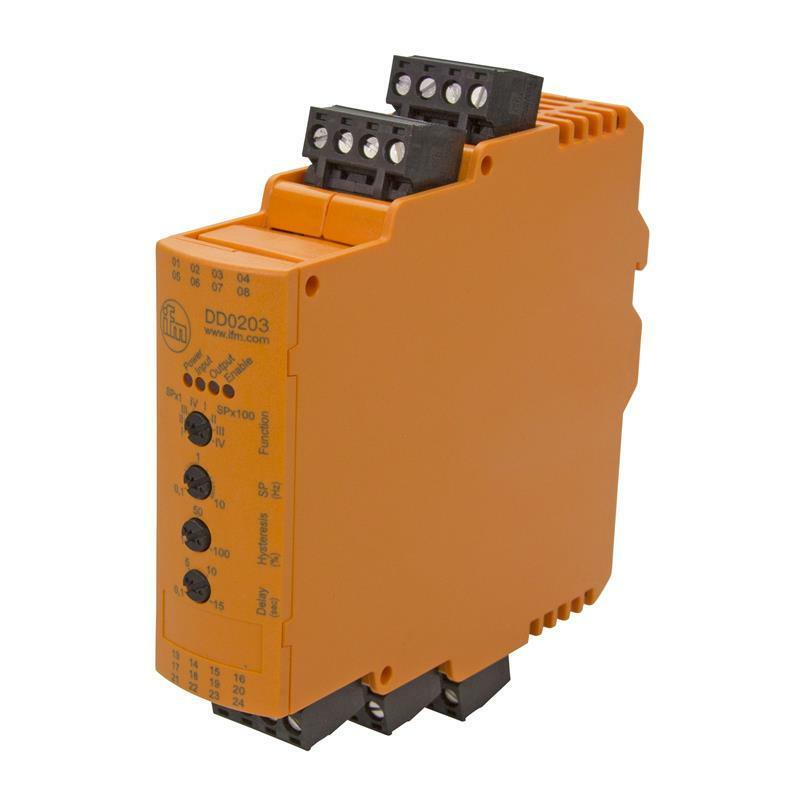 The speed monitor DD0203 from ifm electronic supplies the basic functions of speed monitoring or standstill detection by pulse evaluation of an external sensor. 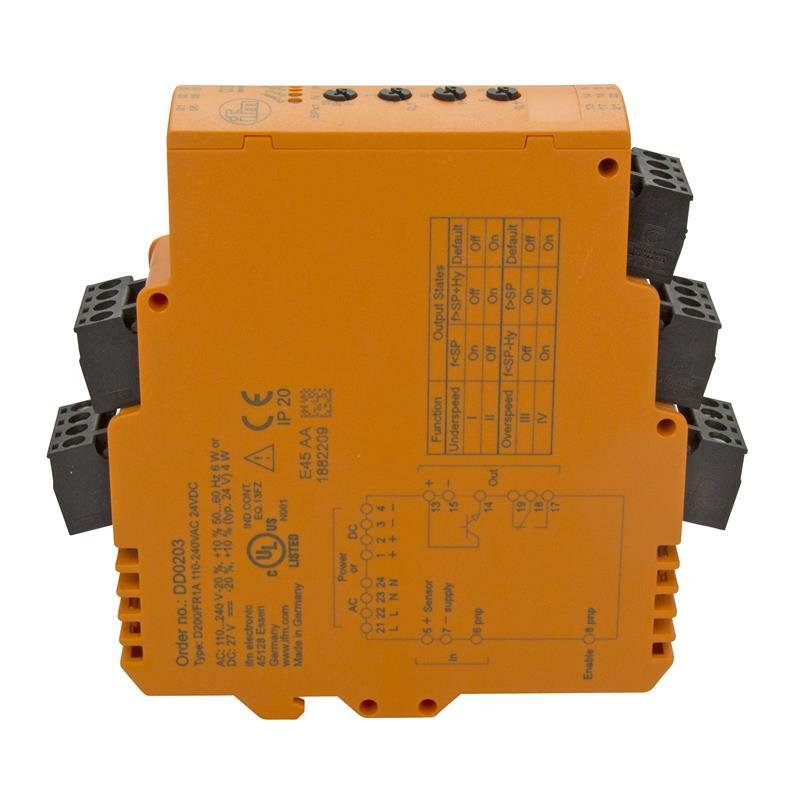 All settings for the speed monitor DD0203 are made intuitive via four potentiometers. The unit features a semiconductor output and one relay output. Thanks to the wide-range power supply of the speed monitor DD0203, it can be used at 24- 27 V DC or 110-240 V AC.